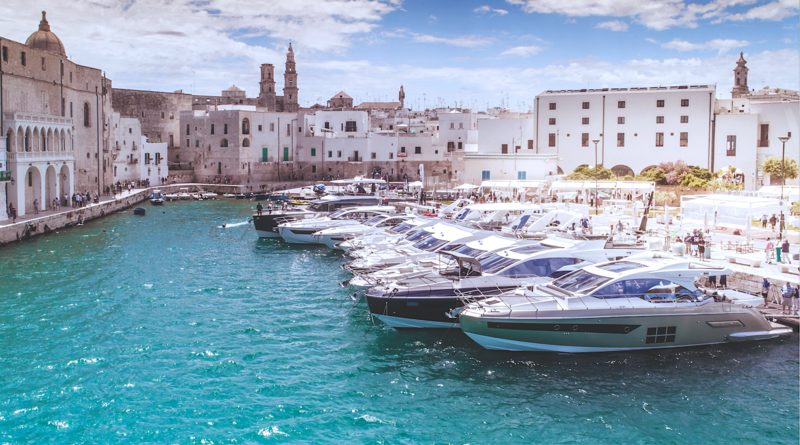 The first time I felt the familial ties that Italian yacht company Azimut Benetti Group so greatly prided itself on having was within the halls of the Castello Carlo V in the quaint seaside town of Monopoli in Puglia, Italy. The palpable sense of community almost outshined the stunning beauty of the 16th‑century castle, which had been booked out by the family‑owned company for the welcome cocktail reception of its signature annual event, the Azimut Benetti Yachting Gala in June. The stonewalled castle buzzed with excited greetings and animated conversations between the guests, which comprised an international mix of wealthy yacht owners, well-connected ship dealers and press, with Singapore Tatler being the only media from Asia. The ambience was undoubtedly convivial as guests were reunited with old friends at the exclusive three‑day affair. Before the trip, I had already been told of the company’s strong family culture. This is thanks to the firm influence of the Vitelli family, namely the boating-obsessed Paolo Vitelli—who founded Azimut in 1969 at age 22, and later acquired Benetti in 1984—and his daughter, Giovanna, the group’s vice president of product and marketing strategy. But seeing and believing are two completely different things, so it was still a pleasant surprise to see how close-knit the Azimut Benetti community was, and how the Vitellis were visible and approachable throughout the three days—whether they were enjoying a midday Aperol spritz with clients at the event’s showcase of Azimut’s latest yachts, or welcoming the 700 guests at the entrance of Borgo Egnazia, the awe‑inspiring five-star hotel that served as the backdrop for a spectacular gala dinner on the second night. And boy, do the Vitellis know how to throw a party. As guests streamed through the narrow, candlelit paths of Borgo Egnazia and into its main piazza, we were met by a skilled troupe of unicyclists, jugglers, magicians and fire-eaters. Throughout the evening, partygoers were lured to the dance floor by a band of musicians playing a medley of Italian folk music. Deeper into the night, an after‑party unfolded elsewhere within the hotel’s compounds, where Giovanna joined in the fun dancing to the tunes spun by an international DJ.